Summer is the season for barbecues, beaches and… boredom. 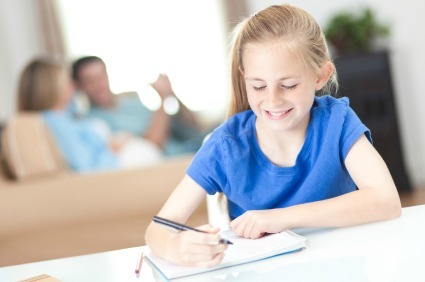 Some of the most dreaded words a parent can hear are, “I’m bored.” Despite having a closet packed with games and puzzles and a garage filled with bicycles and balls, children always seem to find a way to be bored. Here’s how to fix that! Contributed by Jennifer M. Koontz, author of When Your Centerpiece is Made of Play-Doh and the Dog Has Eaten Your Crayons: A Mother's Perspective on Parenting. When this happens, do what I did, and alert the residents of your home that bored (or any derivative thereof) is no longer a part of the English language. Not only is the word banned in our home, but the feeling is not allowed, either. When your children are looking for something to do, ask them, "If you could plan something, anything at all, what would you plan?" Decide whether they are going to plan something that could actually happen or if they are planning something imaginary. Both can be fun. Both involve writing, thinking and sometimes even math -- great skills to keep in practice during the summer. Encourage them to plan each and every detail. They could even illustrate the plan. I know a mother who helped her children plan a picnic, complete with a guest list, invitations, menu, napkin designs, party favors, games and a sign-up sheet! The plan eventually became a neighborhood party, which was an added bonus. If your child chooses to plan something different, like a trip, then lead him to the maps. If he would like to plan a trip to outer space, fantastic! (Try to avoid asking when he's planning to go.) No matter the idea, as long as it's safe, encourages creativity, research, writing and art. Schedule a time for a presentation of the plan and be sure to keep the plan -- you never know when it might turn into a school project. Sometimes a child's plan can even become a children's book, if you are so inclined. Water soothes the soul and calms the savage beast. It's also entertaining in a multitude of ways. If you can find a pool or a beach, hallelujah. If you are at home, try the old running through the sprinkler idea. It might be old-fashioned, but it's still fun. So are water balloons, watering cans, and playing in the rain, if the opportunity presents itself. Another thing you can do with water is make lemonade, juice, popsicles and even mud pies. (Be sure that the children know which ones are ingestible and which are not.) Even if you fill a few containers with water and set them outside along with some plastic toys, children of any age will find a way to play. 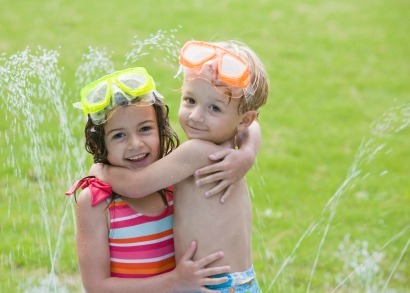 Water play should always be closely monitored, but water is one of the simplest ways to keep children occupied. As a teacher and a writer, I could hardly make suggestions for summer activities without including books! The trick is always to make reading a reward. It's not a job, it's a pleasure. The summer is a perfect time to let your child explore books and topics that interest her. In school, children are usually told what they must read. In the summer, let them choose. Go to the library or the bookstore (or the computer), and let your child find books that are intriguing to them. You don't have to be interested in the topic -- all you need to do is be sure that the books they choose are age-appropriate. Set aside 15 minutes a day as reading time and sit with your children as they read. You can alternate reading sentences or pages with them, or if your children are older, you can do your own reading as they do the same. No interruptions, no talking. When the 15 minutes are done, ask your children to share what they learned. Encourage just one sentence of sharing at first. Interesting discussions can begin with one child telling his family about salamanders followed by another child describing Junie B. Jones' latest adventures. I knew you'd like this one. No, I don't mean that you should run and hide when your children complain of being bored. 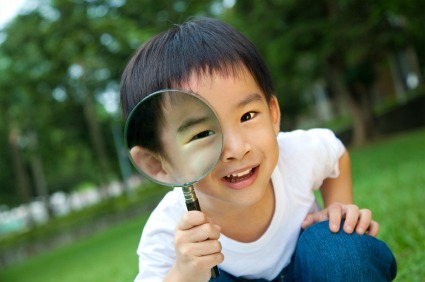 Children love scavenger hunts, egg hunts, treasure hunts and hide-and-seek. They just love to hunt. So, be it outside or inside, hide things. Be sure to count how many things you've hidden, so everyone knows when the hunt is over. You could ask your child to write a sentence or even a story. Then, cut up the paper so there is one word on each piece of paper. Hide the words, and ask your child to reconstruct the sentence or story by finding the words. As he finds each word, ask him to read it to you. Hint: the longer the sentence, the longer the hunt. Try to encourage detail! Earning money is a good thing. 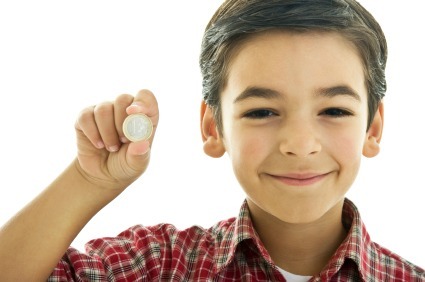 Paying your children for doing nothing is not a good thing, but many parents do it anyway. If your children are looking for something to do during the summer, put them to work, and pay them for their work. To encourage them, don't pay for everything that they want! If they need money, they will be willing to earn it. Sit with your child and create a list of jobs that need to be done in your home and how much money they will earn for doing each job. (Have your child do the writing -- it's good practice.) Post the list in a place that is easily visible to all interested parties. Tell your child that he must ask you before he tackles a job, accept only good quality work and pay promptly. Then, after the work is done, let your child spend some of the money. We all know that learning to save is a wonderful thing, but it's summer out there, and summers are for having fun. Go on now, go out and play! >>For more parenting anecdotes and tips from author Jennifer M. Koontz, check out her latest book, When Your Centerpiece is Made of Play-Doh and the Dog Has Eaten Your Crayons: A Mother's Perspective on Parenting. You may also visit her on her Facebook page for more information.